The Tour de Cure is more than a great day on a bike. How many opportunities do you get to change the future? If current trends continue, 1 in 3 children born in the year 2000 will develop diabetes in their lifetime. You can help change that trend by raising important funds for the American Diabetes Association. Donations raised will go towards educational outreach, advocacy efforts and critical research that will ultimately Stop Diabetes once and for all. The Tour de Cure riders are responsible for collecting donations to meet the fundraising minimum in order to participate; it powers our services to the 25.8 million children and adults with diabetes until there is a cure. We're here to help you reach and exceed that minimum with easy-to-use tools and resources. When you register, a personal page is created for you that makes it easy to reach out to everyone in your email contact list in only a few minutes. Our local Tour de Cure coordinator and online support staff are available by phone, chat or email to help you get started and answer any questions you have. We've put the fun in FUNdraising for you! 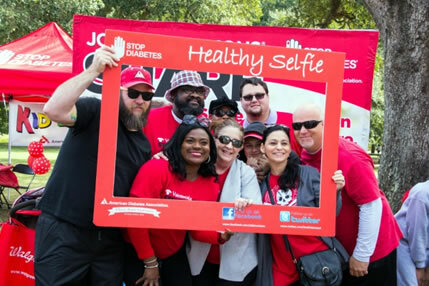 Join the millions in the movement to Stop Diabetes®: make a donation today! Start with a contribution to your own account, then invite friends and family to do the same. In thanks for your fundraising efforts, you will choose from a selection of great prizes including electronics, apparel, cycling accessories and much more! When you ride in Tour de Cure, you take part in something unique. You join the ranks of some of the most passionate people in the country people who care about cycling, health and, above all, finding a cure for diabetes. In order to thank our most outstanding fundraisers, we have created the Champions to Stop Diabetes Top Fundraisers Club. If you raise $1,000 or more for a local Tour de Cure you will automatically become a Champion to Stop Diabetes and will receive special recognition on the weekend of the event, along with special perks all year long! Whether you're new to this or have already fundraised for charity events, meeting the minimum will be easy with the support we offer. We know you can do it with these easy-to-use strategies. Your "Tour Center" and personal fundraising webpage: You'll be able to share your story, send out emails to your friends, family, co-workers and contacts, and track your fundraising progress. We even have instructional videos to show you how to use all these tools. Fundraising emails and letters: Use or modify our template donation request emails and letters. We also have thank you e-cards and much, much more! Road tested ideas: You'll be provided proven fundraising strategies, from team rallies to social media outlets, to help you reach your goal. Your Tour de Cure coordinator: We're here to help you every step of the way! 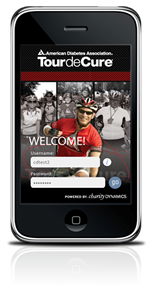 Visit your local Tour de Cure site and reach out your Tour de Cure coordinator today to get started. Registered participants please log in above to MY TOUR CENTER to have immediate access to the fundraising resources. Tour de Cure participants can earn a variety of exciting thank you gifts including exclusive apparel, popular electronics, and more! They represent our thanks for reaching higher fundraising levels to fund the mission of the American Diabetes Association and the 25.8 million Americans with diabetes we serve. All registered participants raising the minimum fundraising amount will receive a commemorative Tour de Cure event T-shirt on the day of the local event. 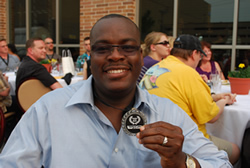 Raise $250 or more and you'll earn your choice of thank you gifts! Check out the Thank You Gift Redemption site for info on the gifts at each level.